The Johannesburg Metro Police department is investigating an incident of looting at a retail outlet in Hillbrow allegedly by a group of students on Monday. This happened after a march by students organised by student organisation Cosas. 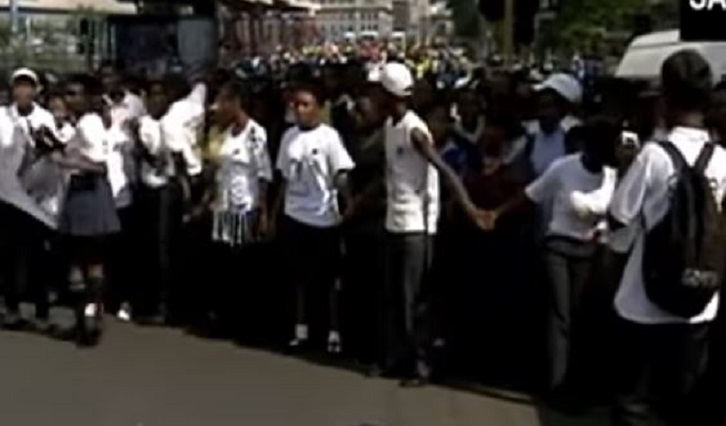 Hundreds of students marched to the ANC headquarters Luthuli house in central Johannesburg. They were demanding action to be taken including against violence in school and poor infrastructure. “Anyone found responsible for this looting will have to be charged criminally,” adds Minaar. The post JMPD investigating looting claims following Cosas march appeared first on SABC News – Breaking news, special reports, world, business, sport coverage of all South African current events. Africa's news leader..